The picture books I loved this week . . .
A story of friendship, prejudice and courage set in the American South in 1964. Beautifully written – lyrical text and honest emotions, this book is one of the best historical fiction picture books I have read. Would be ideal to pair with other picture books and novels also dealing with this time period such as The Other Side by Jacqueline Woodson, The Lions of Little Rock by Kristin Levine and Glory Be by Augusta Scattergood. 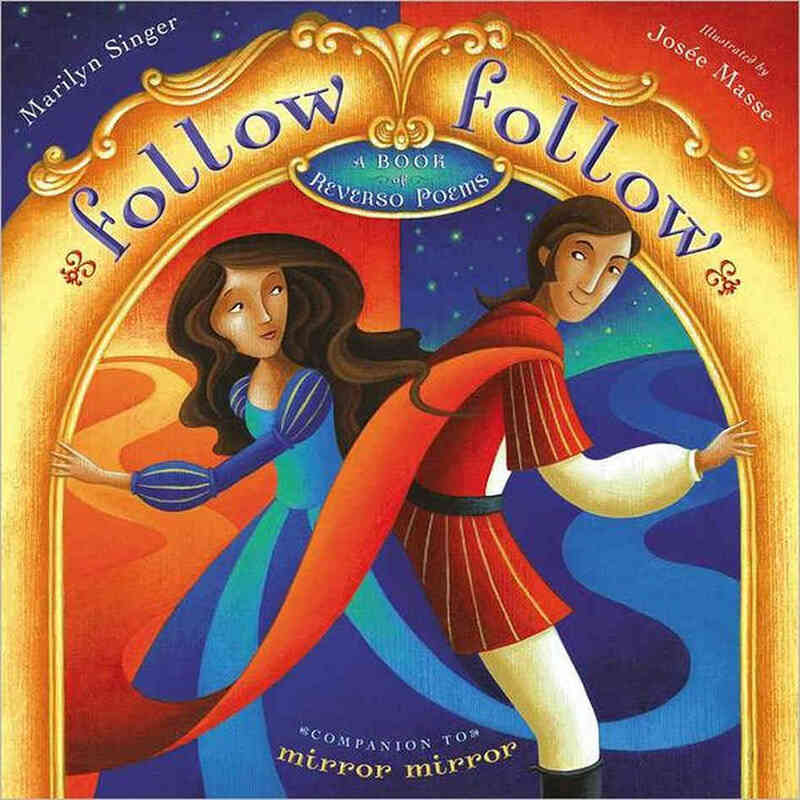 Follow Follow: A Book of Reverso Poems by Marilyn Singer and illustrated by Josee Masse A companion book to Mirror Mirror full of more brilliantly and beautifully crafted poems inspired by fairytales. Forward or backwards – simply amazing. Today I Will Fly! 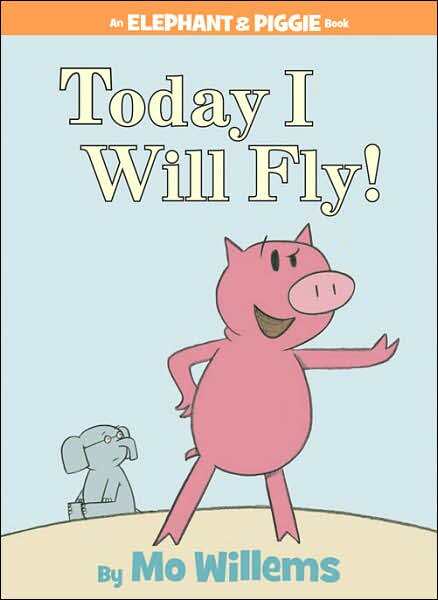 by Mo Willems Who can help but root for Piggie and her incredible perseverance? Creativity and imagination help Piggie do the impossible (sort of . . . ). I Will Surprise My Friend! by Mo Willems Anticipation can make even the simplest of surprises very dramatic! What a rich engaging information story book. The reader is quickly wooed by a page of delicious desserts and treats with chocolate as a main ingredient . . . but where does chocolate come from? We travel to the rainforests of Central and South America and learn the very complicated series of natural events that make it possible to harvest the cocoa bean. Packed with information told through beautifully detailed illustrations, easy to follow text and the humourous commentary of two tiny bookworms in the corner of each page. I learned so many things from this book that I was rereading it for a second time within minutes of finishing it. A book I cannot wait to share with my students this fall. Read a fantastic review of this book on Margie Myers-Culver‘s blog. This book reveals the huge variety of homes built by animals around the world. From treetops, to coral reefs, caves, burrows, and sandy shores – this book is full of unique animal homes and details of how they are built. Did you know that monk parakeets weave their nests onto the nests of another nesting pair? So that the result can be a colony of parakeets living in an apartment like nest possibly as large as a car? Or that redhead ducks don’t build a nest at all – they simply lay their eggs in the nest of another duck and let the unsuspecting new mother duck hatch and raise the ducklings? So much to learn about animal habitats! I read somewhere in some review that this was a YA romance book for those people not typically wowed by romance stories. This is true. Strangely, this title is completely centered on one of the most beautifully told young love stories I have ever read, yet “romance book” is not the way I would start when describing this title. It is about teenage angst. About social cruelty and bullying and ignorance. It is also a book that reveals that relationships exist for so many reasons – some of them truly because of love, some of them out of desperation and a series of bad decisions. This is the story of poverty that typically isn’t told. It is about judgement and courage and genuine care. It is about finding the amazing in someone who does everything to hide it. It is about being young and vulnerable and confused. It is about adults who mess up and inflict so much that is not okay on the children. It is about abuse and fear. And ugliness. And then, it is really about love. And thank goodness, because what an emotional ride. No guarantees of happily ever afters with a handsome prince. Full guarantees that you will laugh, shake your head, feel your stomach turn and just smile. Wow. Next up? We’re off on a before school starts trip and in my bag I have packed . . . . This entry was posted in It's Monday What are you reading? and tagged adult novels, Allen Young, Deborah Wiles, historical fiction, Jerome Lagarrigue, Josee Masse, Karen Brown, Marilyn Singer, Melissa Stewart, Mo Willems, Monday reads, Nicole Wong, nonfiction, picture books, poetry, Rainbow Rowell, young adult selections by carriegelson. Bookmark the permalink. I will never get tired of reading people’s responses to Eleanor & Park! I’ve been wanting to read Marilyn Singer’s poetry books for awhile now. They seem interesting! Eleanor & Park is certainly some kind of book! You have been very busy reading. Rules is very good and well paired with Out of My Mind. I am such an Elephant and Piggie fan. They are among some of my favorite read alouds. I am going to look into Even an Octopus Needs a Home. It’s attractive and appears to be a good choice for science and social studies topics. 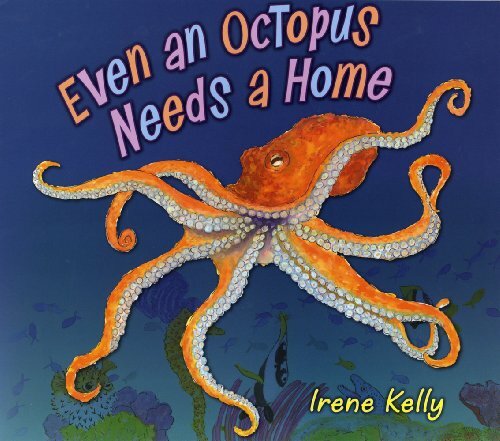 Even an Octopus needs a Home is a great nonfiction title to share and connect to so much science curriculum. Enjoy! Thanks Myra! We love having a vacation right before the beginning of school! It helps us to relax in preparation for the crazy of every fall! You are brave to read The Book Theif on vacation! 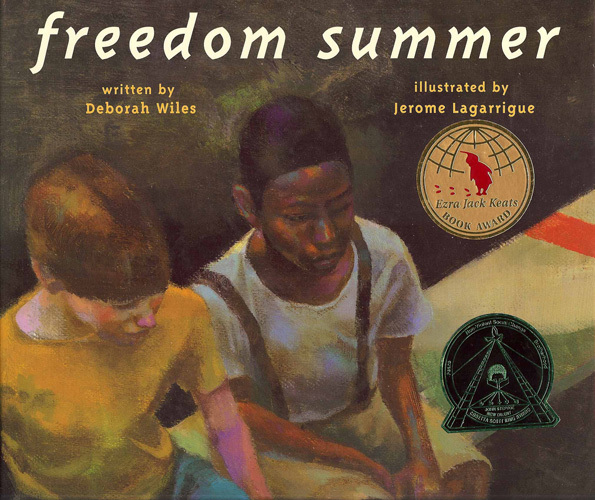 Freedom Summer is an amazing book – important themes, and so well told. Lovely review of Eleanor and Park, I finished it this week as well. Just loved it. 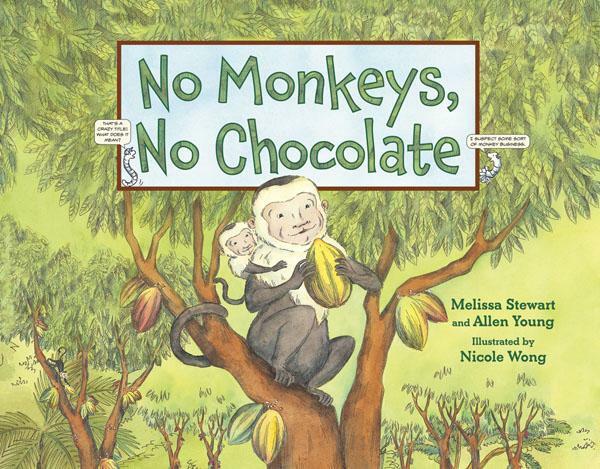 Can’t wait to read No Monkeys, No Chocolate!! Happy reading week! So happy you liked Eleanor and Park! I loved it too. I’ll have to add Freedom Summer to my list, since I use Lions of Little Rock and The Other Side. Thanks! You will love Freedom Summer if these are favourite titles of yours! Loved Eleanor & Park, as you know. And hope you enjoy Rules & The Book Thief, and the others. Happy travels, Carrie. Thanks for those two non-fiction titles-look great! Eleanor & Park quickly became a favourite. Thanks Linda! I just started Prairie Evers last night and I really like it so far. Loved Rules as well. Have you read Touch Blue, also by Cynthia Lord? Another good one, similar to One For the Murphys. Enjoy your trip! I have Touch Blue on my shelf and plan to read it soon! 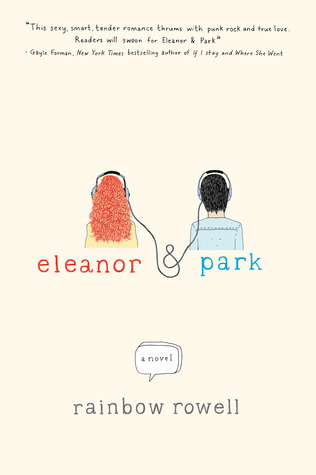 I have Eleanor and Park on my to read list and need to get to it. 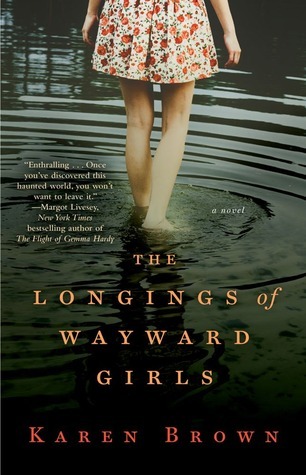 The Longings of Wayward Girls is such an interesting title and I love the cover…I’ll have to go find out more about it. I don’t often read adult novels – strangely I find them all a little depressing but I was intrigued by the title of this book too. The Book Thief is one of my all time favorites! Your non-fiction choices look great, and who doesn’t love Mo Willems? Enjoy your vacation! Thank you for the vacation wishes! I was lucky this week to read such great nonfiction books. No Monkeys, No Chocolate looks awesome! Have a great reading trip! Carrie, your blog is becoming a $ drain for me! Every week, you post about several books I want to go buy right now. I think I’ll get Freedom Summer and No Monkeys, No Chocolate for my son’s classroom (that’s my new way to justify new book purchases: “I will donate this to my son’s classroom. That room needs more books!”). Eleanor & Park is in my TBR stack right now. Hoping to get to it soon. Thanks for the reviews! Great reason to buy books! I find many reasons 🙂 No Monkeys, No Chocolate is a must have in a classroom library!